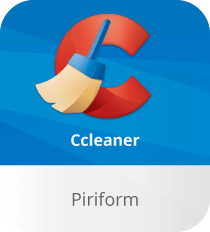 CCleaner asserts to clean and optimize you PC by completely cleaning temporary files, browser history, Windows registry, and so on. With the use of this application, you won’t find any instant or spectacular changes in your system; it’s however a fine utility to give a breath to your computer. Being a freeware, it serves as much as a paid program can do for you. Before cleaning all the mess from your computer, it is recommend that you take a backup of your registry so that the changes made can be rolled back in case required. Although it’s an excellent option for those willing to wipe-out all the clutter from their PCs, there are many other effective programs that work along the same lines and are more popular. CCleaner is one of the best system tools to make your computer more secure, fast, and reliable. The program helps you remove temporary files, cookies and various other unused data that puts an extra burden on your operating system. After installation, the main window reveals four tabs on the left side, namely Cleaner, Registry, Tools, and Options. The Cleaner is the most useful option in the entire program which contains two sections: Windows and Applications. What it does is deleting those files that clog up your PC, thus allowing your system to run faster. In order to start the cleanup, all you have to do is first click on “Analyze” button and when the search finishes just click on the “Run Cleaner” button, and you’re done. Now, the Registry tool does what it says, i.e. cleaning your system registry. Just click on the “Scan for Issues” button, and when the program finishes analyzing the errors, click on “Fix selected issues”. It fixes errors and broken settings to make your system more stable. Besides, the Tools part of the system tuning application has a bunch of useful tools, including Uninstall tool, Startup tool, Disk Analyzer, Duplicate Finder, and Drive Wiper. With CCleaner Tools and Options, it’s possible to customize cleaning methods to match your requirements. If you are not a tech-savvy user, you may keep the default settings of CCleaner for Windows. However, advanced users have the power to remove unnecessary tools, customize settings, as well as setup system monitoring. Download CCleaner for an optimized system performance. > Faster response time – As the system gets older it collects unused files which consume a lot of space. CCleaner removes these junk files and settings to make your PC much faster than before. > Safer browsing experience – Most of the websites track user behavior with cookies that remain on your PC. The utility erases your search history and cookies and your identity remains hidden. > Fewer system errors and crashes - Over the passage of time your registry becomes cluttered with errors which lead to crashes. The program helps you clear them to make your PC more stable. > Improved PC boot time – It disables programs that run silently in the background, thus giving your computer a quicker startup. CCleaner has earned a valuable position among all the freeware cleaners in the market. It is popular, not only for system cleaning and tweaking but for your computer’s protection as well. CCleaner is the most powerful PC cleaner software in the world computer users. So its a great post. Thanks for sharing.